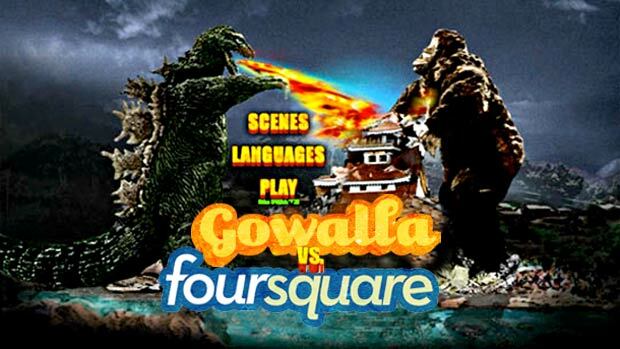 If you ever visit the downtown Manhattan offices of Foursquare, the popular location-based social game for smartphones, don’t say the word Gowalla. When I made that mistake during a visit there last November, 27-year-old cofounder Naveen Selvadurai sent me to the Foursquare time out chair. It was a joke. I think. Gowalla’s CEO, Josh Williams, says he didn’t know about Foursquare until after version 1.0 of his app was released. “When we set out to build Gowalla, we simply wanted to use collectibles and a lightweight game to reward users for exploring the world around them,” Williams says. “Honestly I had know idea we were stepping into what would become a very hot space.” Left in the wake of Foursquare’s popularity and superior functionality, Gowalla lurked in the shadows until this Fall. Shortly after Foursquare attracted its first investment, Gowalla raised about $8.4 million from several investors, including a few angels who kicked themselves for not sealing a deal with Foursquare. Then Williams released Gowalla 1.2 in September. And Selvadurai debuted the time-out chair. The new and improved Gowalla included features that mimicked many Foursquare’s existing ones: a top 10 user list at venues patterned after Foursquare’s mayor award; unlockable badges for venturing to new places, some with identical names as Foursquare’s (such as the “explorer” and “discoverer” badges); and a focus on sharing your location with friends, a social element largely absent in Gowalla 1.0 that spurred a network effect in Foursquare adoption. Imitation may be flattery, but the cash-disadvantaged Foursquare team was not flattered. And the competitors coded furiously through the winter. Foursquare attracted mainstream partnerships with Bravo TV, Zagat, Harvard University, and a host of national retailers. Gowalla struck advertising deals with media companies such as Travel Channel and retailers like Incase. Four months later, as both companies prepare for their sophomore year at the SXSW conference, the drama has mellowed for the founders, but not the users. Foursquare is positioning itself primarily as a social utility and city guide, while Gowalla is leaning toward its gaming roots and attempting to bridge the gap between virtual and tangible goods. But it’s clear that an “unofficial” competition will ensue at the festival which begins on Friday. Gowalla, on its home turf in Austin, is buddying up with Chevrolet for some slick games and promotions during the festival. Foursquare will vie for user checkins through an array of partnership promos, including SPIN, Pepsi, Good, Adobe, and Paypal. So who’s going to win? Foursquare broke the 500,000 member mark a week ago, while Gowalla has a loyal following, numbered in the mid 100,000s. Each is dominant in its home city (Foursquare in New York, Gowalla in Austin), and until Foursquare’s January update allowing check ins in any city, Gowalla ruled small to medium sized cities like Topeka, Kansas, with Foursquare generally dominating larger metro areas. While the future of these companies may not be at stake at SXSW this year, the winner will matter to the many voracious users of each platform. But the race is no longer about which app works better; it’s about whether you like a sort of real-life Pokemon (Gowalla), or to socialize and compete with friends (Foursquare). And there’s no reason you can’t do both (if you’re an obsessive type with lots of battery life). But the sad truth is that both companies could lapse into obscurity now that behemoths like Twitter and Facebook are bringing their big guns to the geo-social networking space. In fact, this week it was revealed that Facebook, which has 800 times the users as Foursquare, will be adding location check ins as early as next month. Maybe by summer Foursquare will be giving me a “time out” for saying the word Facebook.